The IMPOSSIBLE is Happening - Yeah Dave! I lost touch with that truth. But this week I rediscovered it the most magnificent way. On Monday, I had lunch with a dude named Matt Uohoro. We are both consulting on a new project that brings mindfulness to boxing. More to come on that soon. Matt is a trainer to all sorts of professional and Olympic athletes. He is one of these rare people with Pure Positive Energy that translates to amazing mind-body awareness. 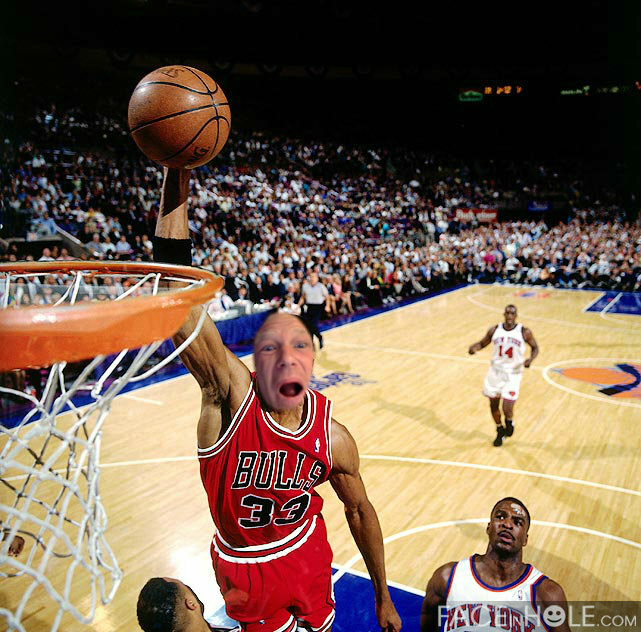 Matt is only 5’ 5 and he can dunk a basketball on a regulation sized 10 foot rim. Trust me, I didn’t believe it either. I asked how it could be possible? Matt proceeded to tell me it’s all about the mind-body connection. If the mind is in the right place, the body can do amazing things. If the mind is in the wrong place, the body will NOT do amazing things and will instead fall apart. Last week, I shared the story of a harrowing few days where my wife and I were uncertain about the fate of our baby. We had an ultrasound and needed to get an amnio. We waited 150 hours to hear if our baby was ok. But as some of you can attest, uncertainty is a kind of pain chamber that squeezes you tight. Last week, I didn’t like what I got. I dealt with the uncertainty just ok. Not great. I held it together but certainly did not thrive. What I needed was the Pure Positive Energy I sensed from the trainer, Matt Uohoro, with whom I was eating lunch the other day. “No f*cking way,” I responded. “Very little of it has to do with athletic ability. It’s all in your mind,” he said, steel-faced. What? Dunking a basketball has never even been on my radar. My greatest dream was a one-handed backhand in tennis, and it’s been 20 years since I last hit one. But the next day, I woke up a completely different person. Because this dude Matt reminded me that when your mind is in the right place, and aligned with the body, a human being is filled with hidden circuits of strength and potential. I mean, dunking, at 42, er sorry, 43, never having come close in my youth? Healing your recurring injury that dogs you day in and day out? Finding amazing love in your life? Now look. I realize you have heard this “positivity, all in your mind” schtick before. So I’m going to prove it. And I’m going to ask you to BELIEVE that you too can do something you never thought possible. Over the next 3 months, I’m going to train 5 days a week with this dude Matt. And at the end of those 3 months, I am going to dunk a basketball on a 10 foot rim. YEAH. ME. The 5’10 Jew with manboobs and very little athletic ability is going to lift off the ground and DUNK! I’m asking you to get behind this mission to BELIEVE in your hidden strength, your untapped potential, your unknown talent. Pledge your support for this mission. Your pledge will be donated to the Wounded Warrior Project and help wounded veterans believe they too will RISE UP and heal their minds and bodies. But even more important, join me and make the commitment to believing in something you thought was a dream from another time, and another life. PURE. POSITIVE. ENERGY. (click to Tweet). It may have been a long since you BELIEVED in something ridiculous and amazing and seemingly impossible. PS: I’m serious about the I Dunk, You Donate initiative. 100% of the proceeds will go to Wounded Warrior. If you can’t get behind a 43-year-old overweight dude dunking a basketball, get behind inspiring wounded vets healing their mind and bodies.